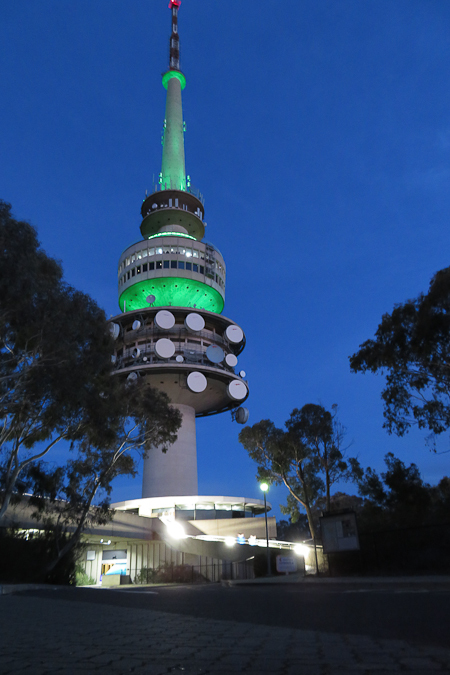 Once the conference finished, one of the attendees offered my friends and me a lift to the top of Black Mountain, which overlooks Canberra. 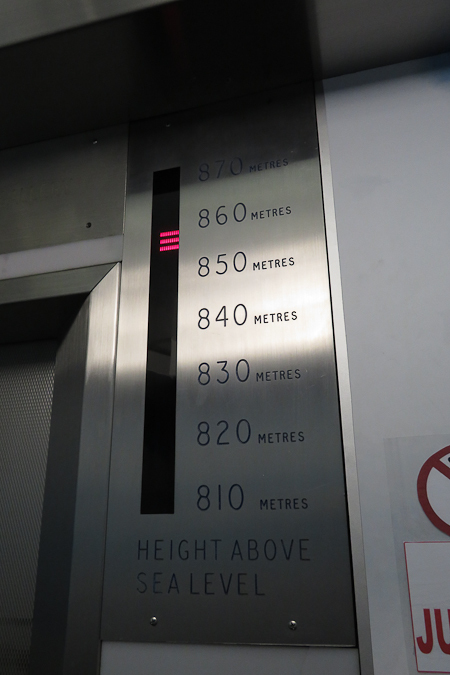 There is an observation tower at the top and, after photographing the cool lift/elevator indicators (and failing to be smart enough to also time the trip, thus reducing the number of interesting maths problems that could be asked about this scenario! 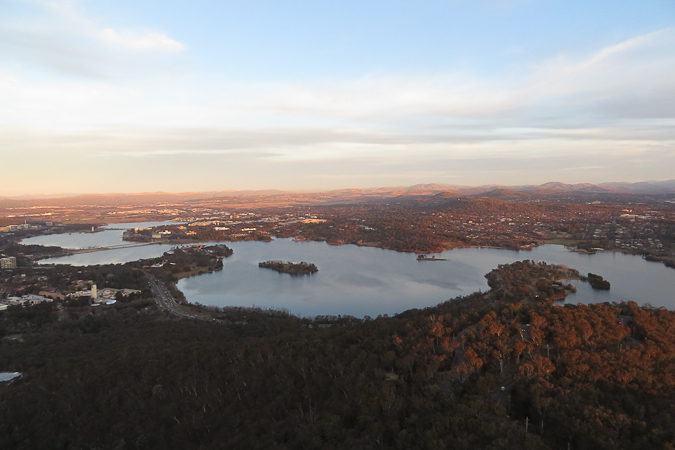 ), we went out into the cold evening air for a view over the nation’s capital. 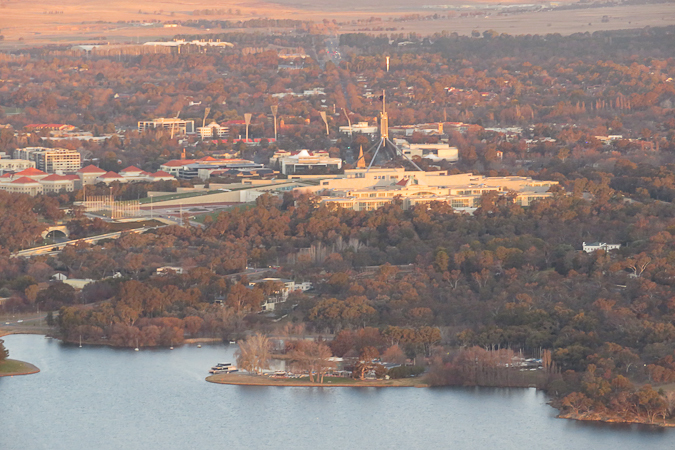 We could see all of Lake Burley Griffin, and Parliament House atop its hill on the far side of the lake. I was glad I had thought to take my puffer jacket, as it was blowing a gale and it was so cold that it was safe to say I’d had warmer weather in Antarctica! 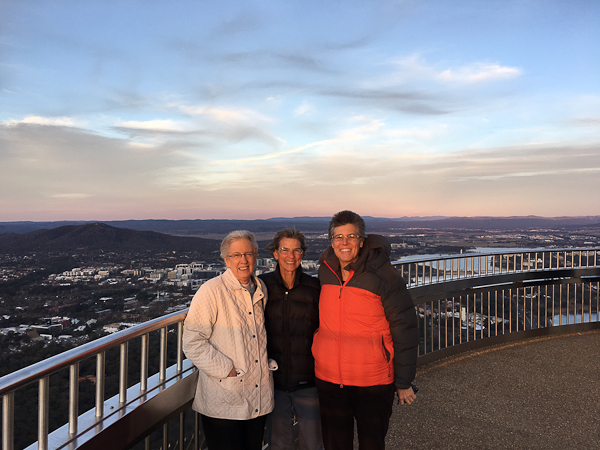 In the photo below, you can see my long-time friend and mentor, Jane, and our statistics education colleague Chris Franklin from the USA (with whom I had an enjoyable bushwalk when she visited us in Tassie a couple of years ago). 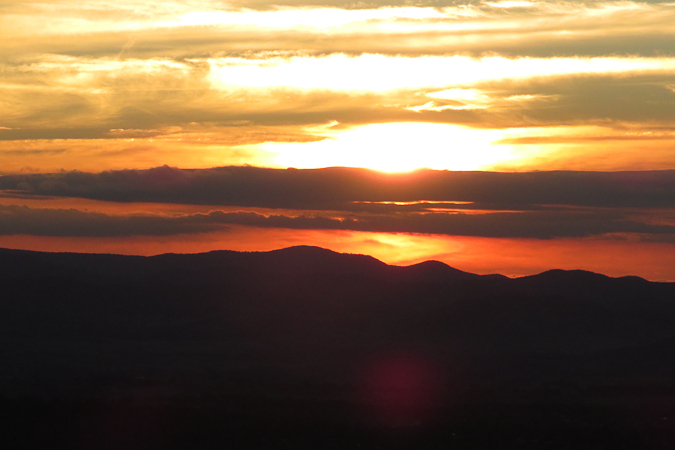 The sunset was pretty but not totally spectacular (it needs more Mt Wellington-y mountains!). 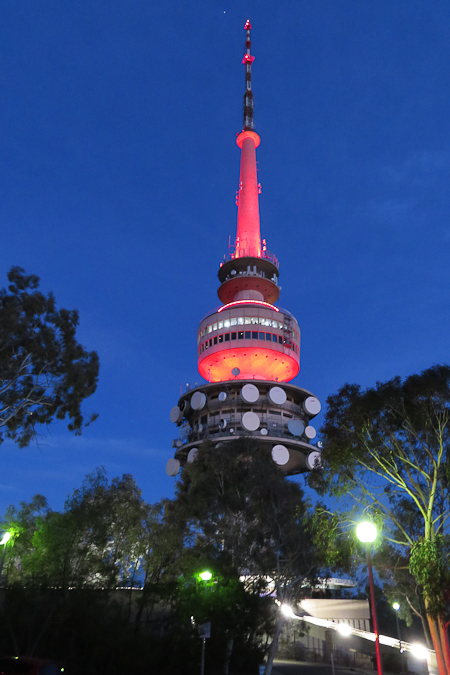 As we made our way back to the car in the dusk light, I tried taking a couple of photos of the tower as the lighting changed colour (I am easily amused).